A 22-year-old woman, Doris Ibukun, one of the wives of the alleged masterminds of the Epe Model College students’ kidnap, Julius Omoni, was on Tuesday hauled up before an Ebute Meta Chief Magistrates’ Court, Lagos. Ibukun, a trader, who resides at Ile Aanu Street, Omileye in Ondo State, was arraigned before a Chief Magistrate Oluyemisi Adelaja on a two-count charge of aiding and abetting kidnapping. She, however, pleaded not guilty to the charge. 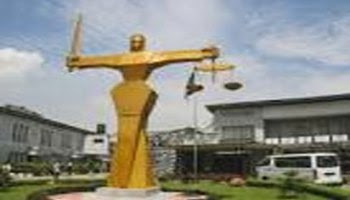 But Police Prosecutor, Chinalu Ueadione told the court that the accused committed the offences on May 25 at 8.00 p.m. at Igbonla in Epe, Lagos State. He said the accused, wife of one of the kidnap gang members, who abducted some students in Epe, failed to inform the police and other security agents of her husbands’ alleged involvement in the crime. The offences contravened Section 8 of the Lagos State Anti-Kidnapping Law, 2017. The offence carries death sentence. In her ruling, Magistrate Adelaja admitted Ibukun to a bail of N500,000 with two sureties in like sum and adjourned the case until Aug. 23 for mention.